If you think that sensitive teeth are a pain for adults, it’s both shocking and sad when it strikes young children. But many parents don’t realize that the tingles and twinges in their child’s teeth are actually signs of tooth sensitivity. If a child complains about pangs of pain when they touch their teeth or eat hot and cold foods, the problem is probably sensitive teeth and needs an affordable dentist to treat the trouble. For parents looking to protect, prevent, or at least perceive the problem of tooth sensitivity, taking your child to an affordable dentist should be your first step. 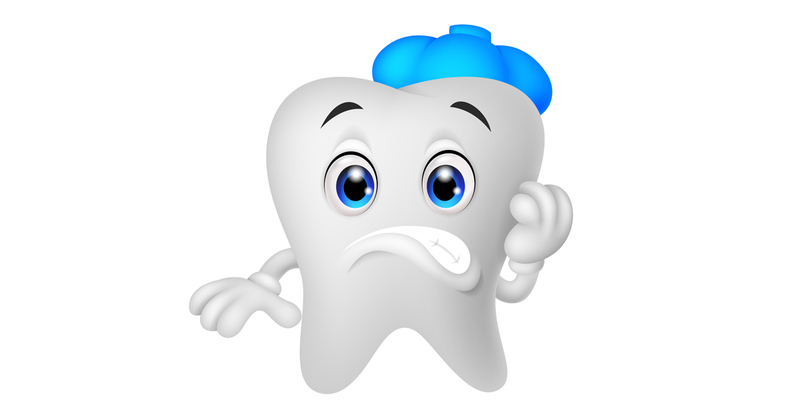 Since cavities are so common in children, they are the most likely cause of sensitive teeth. While many kids complain of pain when new teeth emerge, it’s actually the feeling of air and food touching the tooth that causes sensitivity. A lot of kids grind their teeth while they sleep or have misaligned bites. These dental concerns can cause hairline cracks along a tooth, making it feel sensitive when touched. The high thermal conductivity of silver fillings might make children’s teeth sensitive to very hot or cold sensations. If your children have a history of sinus problems, that may solve the mystery of why they feel tooth sensitivity. Improper brushing may be the least likely cause of your child’s sensitive teeth, but it can be a reason and that’s reason enough to make sure that your child learns how to brush properly. By teaching children to brush gently and slowly to avoid wearing away the delicate tooth enamel and gums, you can reduce their risk of sensitivity. If your child makes any mention about tingles or twinges when touching their teeth, they may be experiencing tooth sensitivity. Make an appointment with your affordable dentist to help your child stop being so sensitive.